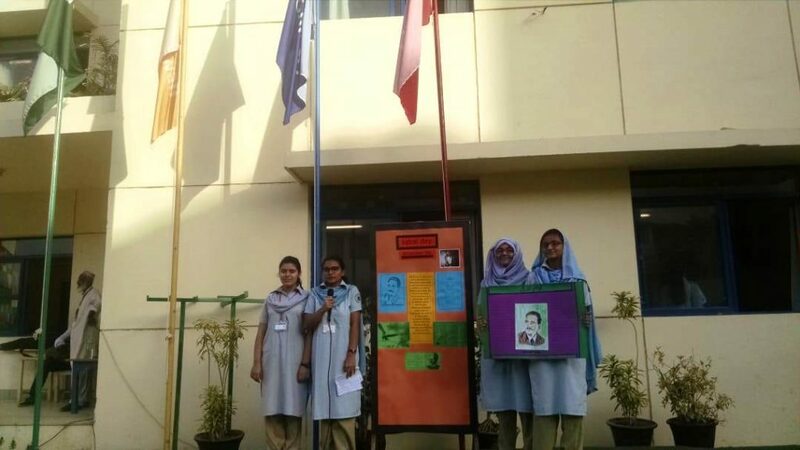 Students paid rich tributes to the Poet of the Nation, Allama Muhammad Iqbal, on his birth anniversary, 9th November. In a special assembly presentation, Sabula Saud of Grade X-F read out Iqbal’s famous ‘Khitab ba Jawanan-e-Islam’. This particular literary piece is directed to the youth and especially to the students of the country and motivates them to put their heart and soul in the development of Pakistan. Hadiya Faisal of Grade X-F paid homage to the great scholar in the form of a speech highlighting his remarkable life and achievements and his services to the nation. Atiya Noman and Aqsa Khalid of Grade X presented quotes from Iqbal’s messages to the youth on different occasions. Through his heart-warming and energizing words, Allama Iqbal’s spirit is rekindled with every new generation that is ready to take up the reins of the country.